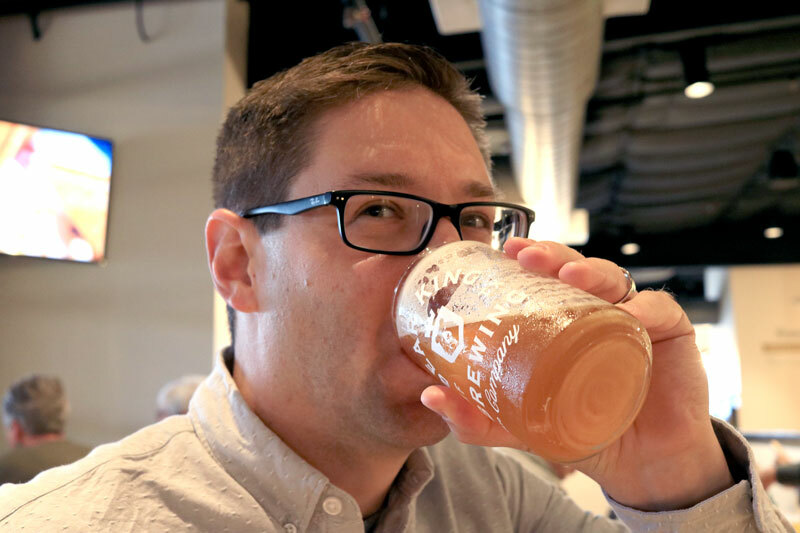 I started to write an introduction about Bear King Brewing Co.’s soft opening this past weekend but realized you have two questions and want them answered before reading any further. QUESTION NO. 1: How was the beer? ANSWER: Just one brew — the Wandering Blonde — was on tap during the soft opening we attended Feb. 1. I’ve gotta say that it was easy to drink and I enjoyed it. I’ll be back for more. What makes this blonde ale stand out is the addition of late-addition hops, which give it a crisp taste you don’t find in many blondes. QUESTION 2: Is the food good? ANSWER: In short, I will be back to try other menu items, and so will everyone else I spoke to at the soft opening. I ordered the chicken tacos and split a small queso with my co-worker, our social media coordinator Jennifer Greenwell. The tacos were great, but I heard the brisket tacos were the best on the menu. Bear King also offers a pulled pork taco and burgers. The queso was creamy and flavorful, and the chips were salted and peppered. With that out of the way, let’s talk about the building. You walk into Bear King’s open entrance area to ponder the menu and turn left to the counter to place your order. 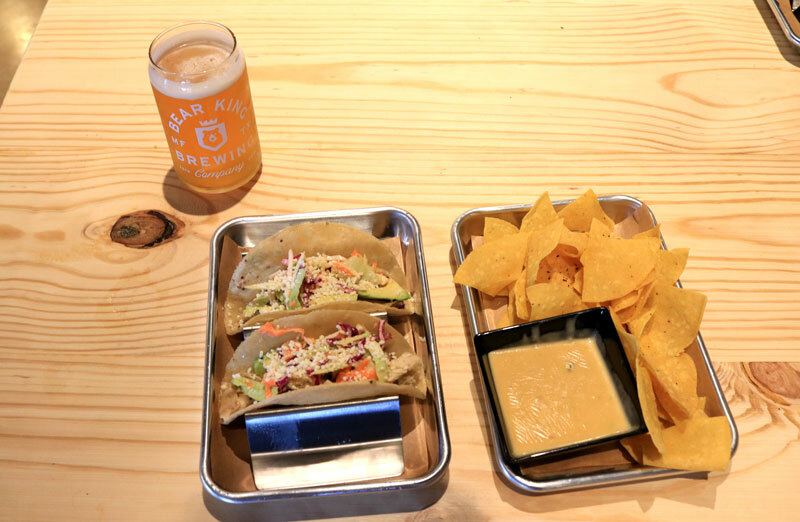 For now, Bear King serves only their beer brewed on site. They do not allow for BYO-drink at the moment. They do have a wide selection of non-alcoholic drinks available if you are under 21 or just not a beer drinker. The outdoor seating area — cleverly named the Beargarten — is a large space that will host live music. One indoor seating area is between the Beargarten and the bar and has large-screen TVs. Another room with windows that face toward the street has more tables and a few booths as well as a small stage. With the soft opening behind it, Bear King Brewing Co. announced its grand opening date of Feb. 22-24. A ribbon-cutting ceremony is scheduled for 4 p.m. Feb. 22 at the brewery. The grand opening will include the full food menu, four beers on tap (blonde, pecan porter, grapefruit IPA, and pale ale), and live music in the evening. Families with children are welcome to visit, but they ask dog owners to leave pets at home for now. Bear King Brewing Co. releases news and interacts with followers through its mailing list and social media channels. 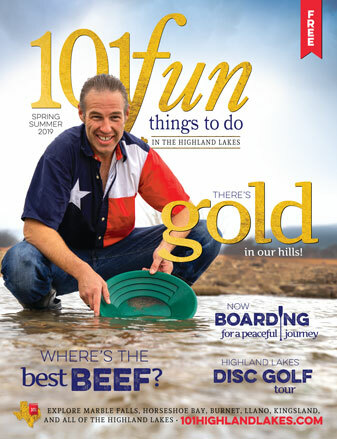 Visit its website at bearkingbrewing.com to follow brewery news. 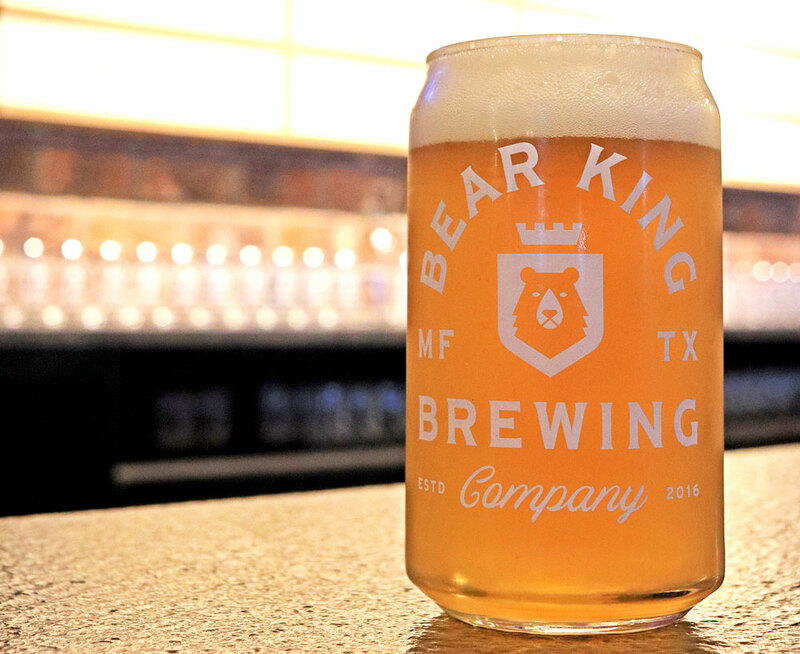 Bear King Brewing Co. is located at 207 Avenue G in Marble Falls. We were privileged to attend the "soft" opening. We were pleased with the attentiveness of all staff members. The food looked and smelled GREAT! Their only beer was a bit citrusy for my buds. Does not hold a candle to other local brewery - STW. But it was cold. And the place is really fine-looking. Nice place to try another beer one day.